This is a build that focuses more on how you play with the team and also have Critical chance, you can easily hurt an DPS with your rune and skills while still having utility to get away if you cant kill them fast enough. Recommended Seals, Magical Destruction or Long range on your weapon, critcal remarks on face - head - amulet, everything else is what you prefer etc.. This would be your maximum damage build, it is recommended you get the % chaos damage and heavy amounts of attack with critical hits. Though you lack any utility you can pick off targets that miss-position themselves, make sure to keep your distance and feed your rune of hunger. This build can also go with dexterity and is good for PvE aswell. Recommended Seals, Magical Destruction or Long range on your weapon, critcal remarks on face - head - amulet, everything else is what you prefer etc.. This can be considered a survival/tanky build, you dont really rely on the damage you do but what others do. You have heavy CC with a simple Dexterity build and you can charge in with a tank or by yourself and catch them, you can rely on the tank stats given with the talents you have and also be good at kiting them with mirage and wave. Recommended Seals, Long range on weapon, Dancing forest on gloves and head, tank seals ex: solidity - nizhad - druid. Everything else you can decide on including cards. 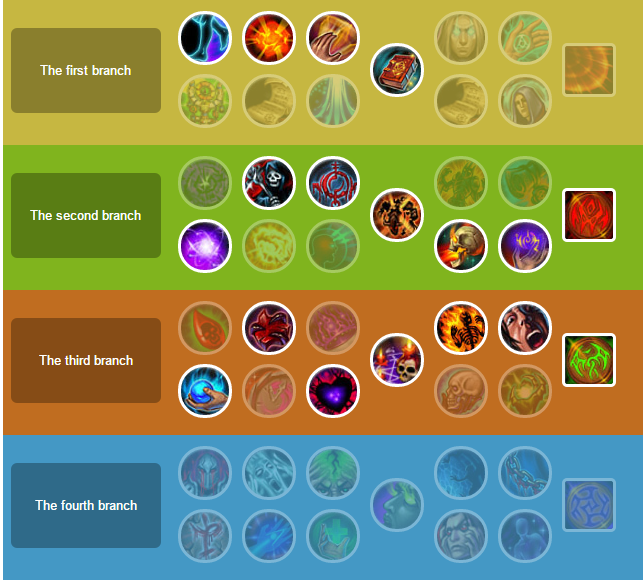 My pure PVE fast farm high damage AoE's & infinite mana build, although how much if this will stay the same once the mage patch comes in remains to be seen. This build is for pseudo stacking DoT damage with instant damage with skill cooldown reset ability.My last point will go to archivist. Any seals, armor, weapon can be used with this build. Shirra card preferred but since that will see a nerf in the future there is no point in suggesting it right now. But I have ran around with this build before not realizing I did not have bracelet on. So yeah it is pretty destructive. Previously I was using a scythe but did not want to tailor another scythe til 60 so I borrowed a bracelet from my Sorc. 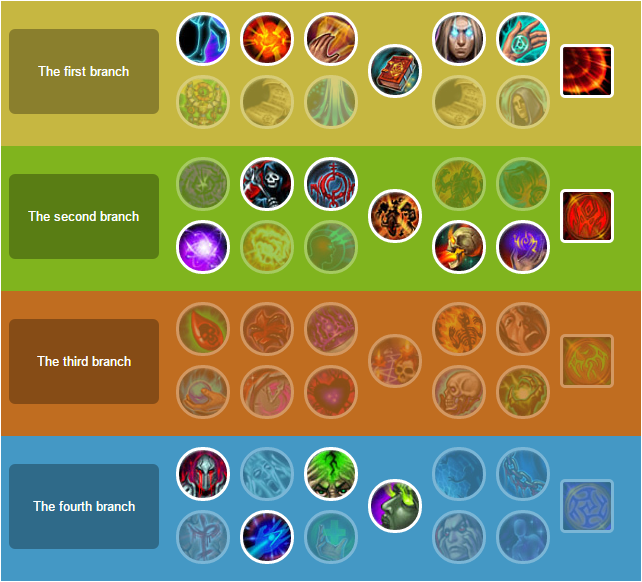 When is the Mage patch happening and what do you know about it? Now make a sorc, smelly. Best person to ask in forums is Sh-ade he knows all the info of the changes, but patch arrival I don't think anyone on the US server really knows. Well then lets hear it from Sh-ade. From RU forums. Just use google translate. So there will be changes to all classes then, as well as cooldown timers on all monster cards that are skill based, from what I read in there...I think that will be the end of the road for me when that patch hits here. 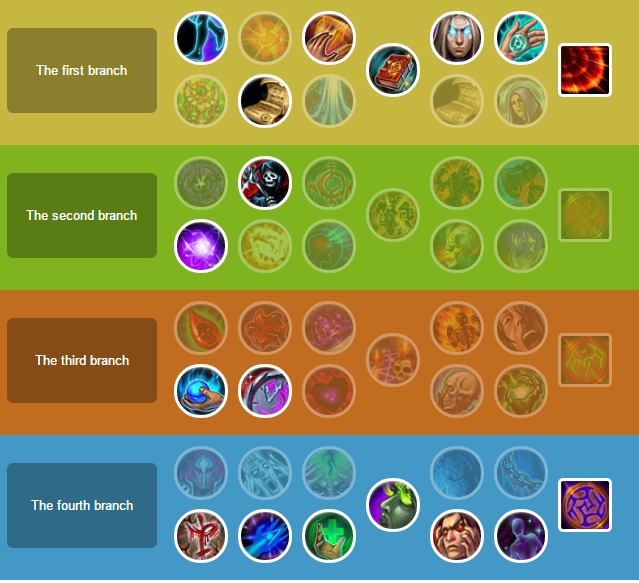 Great Guide, show us common build for warlock, it give us the general idea how to build warlock. I am sure Akroz is impying that he will release a more complete and in-depth guide all about warlock. I believe we all curious about his build after seeing many of his videos.